Hi, I’m Betty and I’m ready for my own home. We are calling her Betty, Solstice Pinup Girl, her puppy name was Candy of the Holiday Treats. After careful puppy evaluation we have decided that the best fit for Candy/Betty will be a companion home. 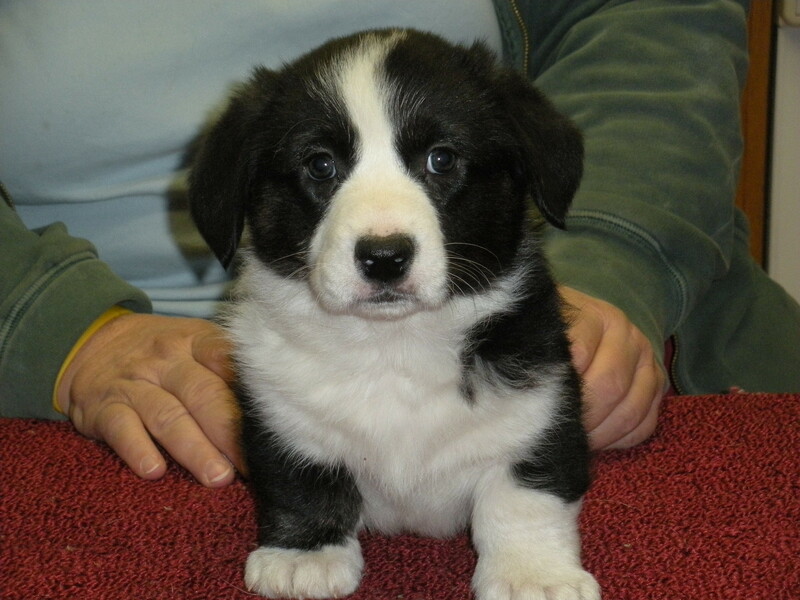 This is a pretty puppy who temperamentally will be best suited to be a family companion. She is sweet and cuddly and really interested in being with the people. She really likes playing with the big dogs but if a person comes into view she would rather be with the people. She is the 1st one to have her feet up on the pen asking to get OUT! 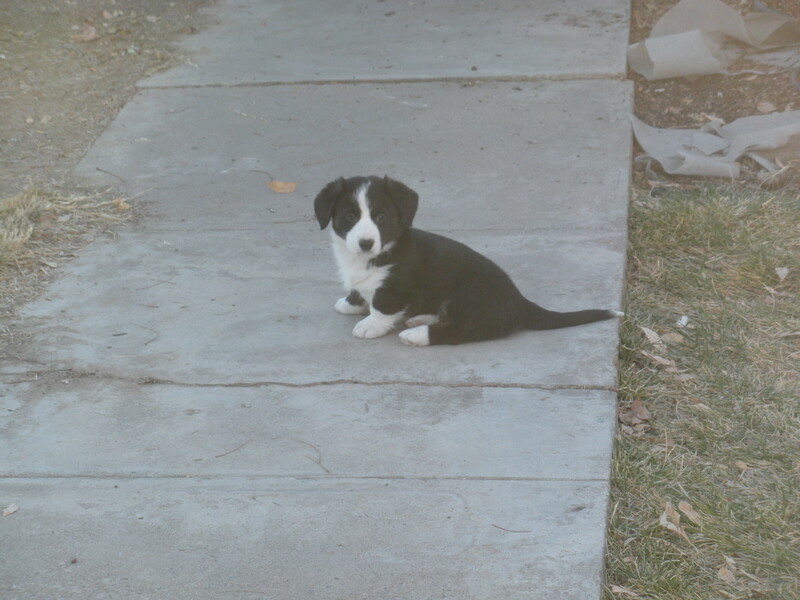 So if you are interested in a very cute and cuddly Black and White Cardi girl she will be available to a companion home. See our kennel policies in the sidebar for more information about puppy placement. ← Baby it’s was cold outside…….. But it’s not now! I am inqiuiring about the black and white female corgi puppy named Candy (Betty). 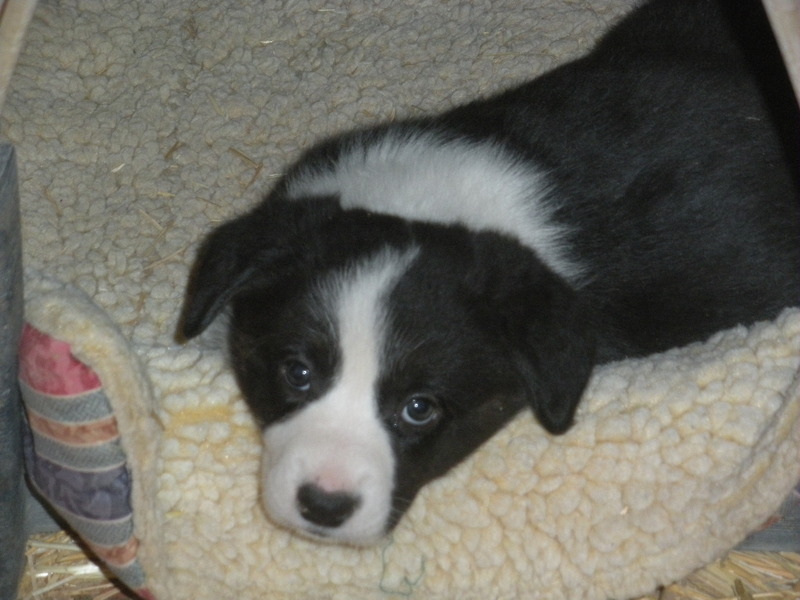 I was on the AKC website viewing links for Cardigan welsh puppies for sale and noticed a reference to this puppy on another link. Coulld you please let me know if she is still available? I am looking for a puppy to raise as a companion dog. My corgi passed away in December from cancer. She was almost 14. The temperament of this little girl sounds very much like what I am looking for.